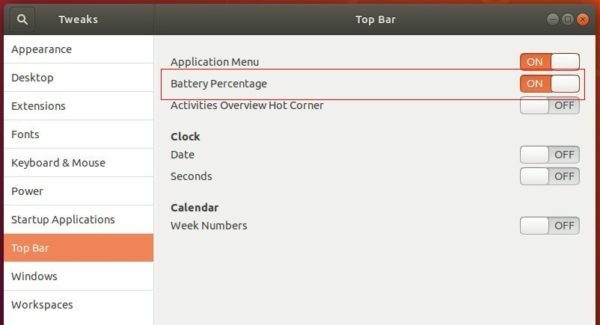 This quick tutorial will show Ubuntu beginners how to show or hide the battery percentage in Ubuntu 18.04 top-right system tray. I’ve already written about this while the default System Settings utility does not have an option for the function. 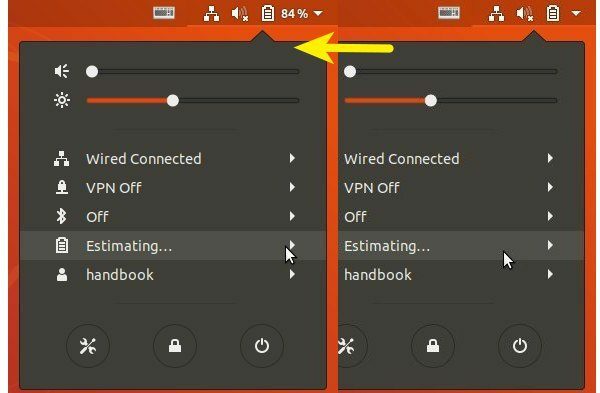 And in Ubuntu 18.04 you can do it easily via Gnome Tweaks tool. 1. Gnome Tweaks is one of my must-have applications, specially for configuring Gnome 3 desktop. 2. Then launch the tool, navigate to Top Bar settings page. There you can see the option for turning on / off battery percentage.